(Opinion) — Wildland preservation is motivated by a variety of ethical, biological, cultural, and recreational concerns. Rarely are efforts to protect wildlands motivated by an interest in promoting economic growth. Not only are there economic opportunities that come with protected lands, including the obvious tourism-related business enterprises, but land protection also has other less direct economic benefits. Wilderness and park designations create quality of life attributes that attracts residents whose incomes do not depend on local employment in activities extracting commercial materials from the natural landscape, but choose to move to an area to enjoy its amenity values. Most importantly, wildlands protection is often the best way to preserve biodiversity which is the foundation for evolution. There is a great ethical, emotional, and economic cost to species loss and ecosystem degradation. Despite these economic advantages to wildlands protection, opposition is often based upon the flawed perception that legal protection for land will seriously harm the local economy. Some historic context may be in order. Starting with Yellowstone National Park, the Nation’s first wildlands preserve, people have been lamenting how land preservation policies would stifle economic development. For example, upon the designation of Yellowstone in 1872, the Helena Gazette opined that the creation of Yellowstone was “a great blow to the prosperity of the towns of Bozeman and Virginia City.” Yet today most Montana residents, particularly those in Bozeman, would agree that Yellowstone National Park is one of the primary economic engines of the regional economy. Similarly when Jackson Hole National Monument was established by Franklin Roosevelt in 1943, the local leaders of Jackson declared that Jackson would become a “ghost town.” So certain were they that monument designation would be an economic disaster, Wyoming’s Congressional delegation introduced a bill to eliminate the park. The bill successfully passed both branches of Congress. The monument only survived because Franklin Roosevelt vetoed the bill. Today Jackson is anything but a ghost town and has one of the most vibrant economies in Wyoming. Indeed, the concept that protecting lands is a net benefit to communities is so well established today that more than 100 economists recently sent a letter to President Obama urging him to designate more national monuments and protected public lands. Counties with protected federal lands had greater jobs growth and higher per capita income than counties with lower percentages of protected lands. In particular, those counties that had more than 30 percent of their land base in federal protected lands experienced annual job growth during the last 40 years of 3.8 percent, while counties with no protected lands languished with annual job growth of only 1.5 percent. Thomas Power found in his research that quality of life was a major reason for people choosing where to locate businesses and their homes. In fact, quality of life was more important than other factors commonly cited like local tax levels. 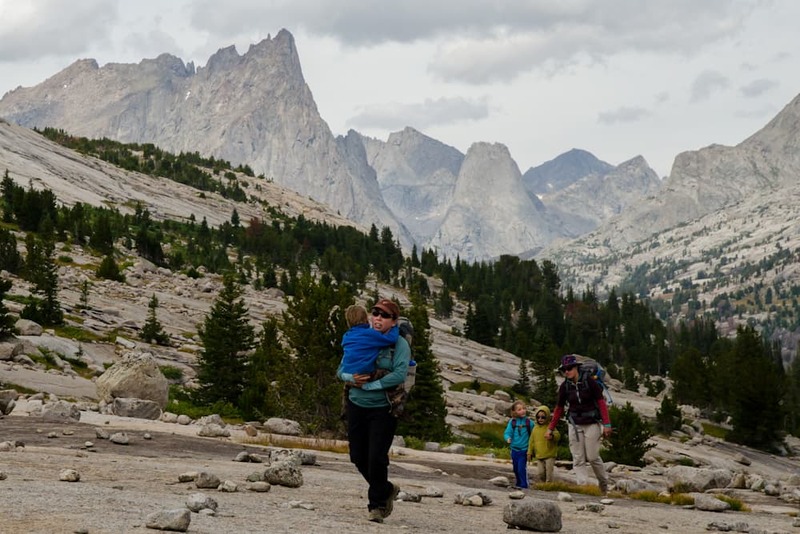 In particular, the attraction of protected landscapes spurs the movement of “foot loose” businesses and retirees who bring “outside” money to wilderness counties. This can help to diversify and bring greater economic stability to rural communities. A recent example of the diversification created by protected landscapes is the designation of the Grand Staircase Escalante National Monument in Utah. Personal income from labor in Garfield County where the monument is located grew by 14 percent in the four years prior to the Grand Staircase’s establishment, but grew by 18 percent the four years after designation. At the same time unemployment fell from 12.4 percent in 1995 to 9.2 percent in 2001. In Kane County, which is also home to Grand Staircase Escalante, personal income grew 27 percent in the four years prior to the monument’s creation, and grew by 33 percent in the four years after monument establishment. Unemployment there also dropped, from 8.7 percent in 1995 to 3.5 percent in 2001. Sources of non-labor income are often ignored or unappreciated by many long time rural residents. There is a tendency to believe that employment at timber mills or ranches is the driving force in rural areas, when frequently the income from transfer payments is a larger part of the economic picture. In many rural counties such “transfer” payments from retirement, investments, and other sources makes a bigger contribution to personal income than “resource” jobs. In 2011 non-labor income contributed to 34 percent of the total personal income and 60 percent of the growth in net personal income during the last decade. Another economic benefit of protected lands is what is termed ecosystem services. For instance, 33 percent of the West’s water comes from national forests. Protected lands like Forest Service wilderness areas produce extremely high quality water that provides the drinking and irrigation water for many western communities. High quality water is also essential to other economic activities. For example, fly fishing is now a prominent activity in many western communities. Everything from guiding, fly shops, local cafes, and local real estate values benefit from high quality fly fishing opportunities. A study in 1990 estimated the economic value of high quality stream fishing in Montana to be worth $5.5 billion. A final way that protected lands have economic value is in avoided costs. Resource exploitation has many negative impacts that are often borne by society, future generations and/or natural ecosystems. Cleaning up the waste from abandoned mines, repairing streams trampled by livestock, and recovering salmon harmed by sediment from logging roads are all well documented costs that have over the years been transferred to taxpayers and future generations as a consequence of the commercial exploitation of natural landscapes. Protecting land in wilderness areas, national parks, and other protected landscapes avoids these potential costs. The value of protected areas for economic prosperity in today’s world is clearly well documented. In most cases protecting land, rather than exploiting it, is by far the wisest economic and economic development prescription. The economic arguments used against protecting wildlands are factually and conceptually flat out wrong. Those working to protect wild natural landscapes do not want appear to support mindless commercial “boosterists,” promoting unlimited growth as they rebut the arguments that protecting wildlands undermines local economies. The best way to avoid being backed into that position while making the economic case for preserving wildlands is to emphasize the fact that the biggest long-term economic problem most areas face is managing growth, not coping with long-term economic decline. Going forward we will have lots of economic opportunities: We are not beggars; we can afford to be choosers; and we have an ethical obligation to the land and future generations to be good “choosers.” That was the original vision that brought the Wilderness Act into existence a half-century ago, and the one that should continue to sustain efforts to permanently protect our remnant wild landscapes. — Thomas Michael Power is the former Chair of the U of Montana Economics Department. Among other publications, he has written Post-Cowboy Economics: Pay and Prosperity in the New American West, Environmental Protection and Economic Well-Being: The Economic Pursuit of Quality, Lost Landscapes and Failed Economies: The Search for a Value of Place, among other publications on the link between wildlands and economic opportunity. George Wuerthner is the Senior Scientist for the Foundation for Deep Ecology and has published 38 books, including a number that deal with wilderness areas and protected areas. His most recent book is Protecting the Wild—Parks and Wilderness as the Primary Strategy for Global Conservation. He has visited more than 400 designated wilderness areas around the country.